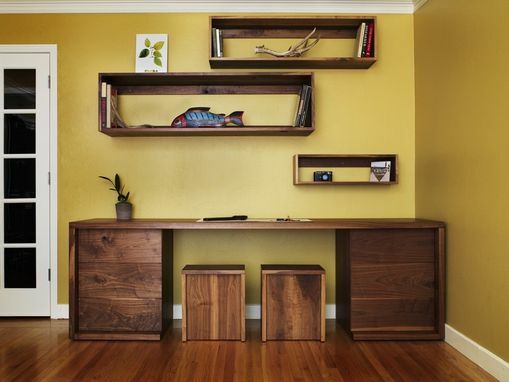 This ensemble was made for a home office to be shared by the owners and their two children. 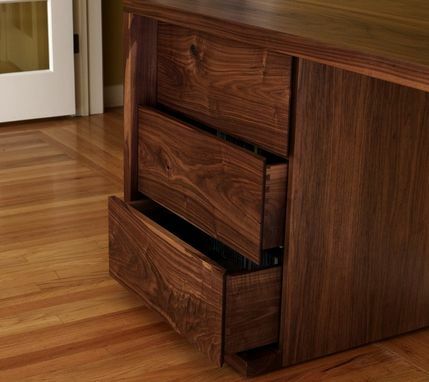 The desk has deep dovetailed drawers to accommodate the children's educational toys and dvd's. The shelving was made tall to house text books and art books. 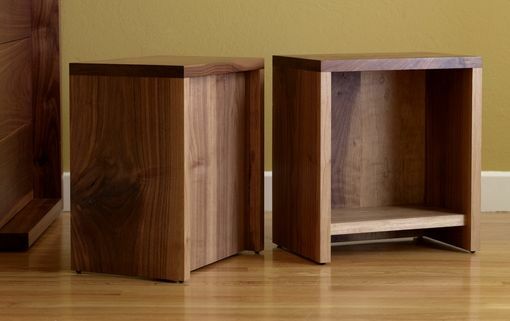 The two stools were used instead of a typical desk chair to encourage the children to see the desk as a piece for the whole family. 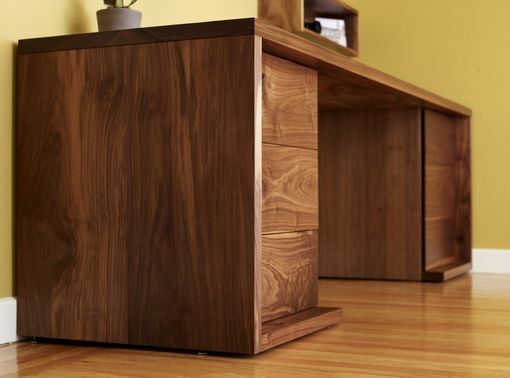 All pieces are made of solid walnut.